With nearly 500 projects worth Rs 4 lakh crore delayed, the railways has decided that no new project will be taken up from now on until states give written commitments regarding transfer of land. NEW DELHI: With nearly 500 projects worth Rs 4 lakh crore delayed, the railways has decided that no new project will be taken up from now on until states give written commitments regarding transfer of land. Delay in land acquisition is one of the major causes for new rail projects not taking off. 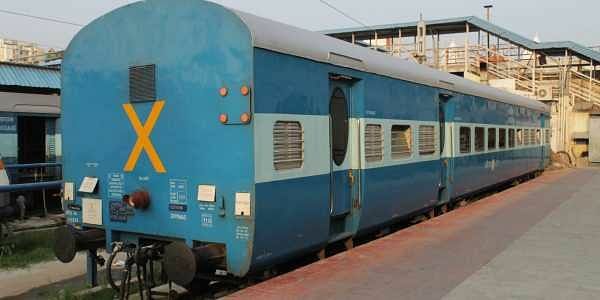 The decision was taken by Railway Board Chairman Ashwani Lohani following internal deliberations. The board has issued policy guidelines to all zonal headquarters authorising general managers (GMs) to invite tenders only if they are reasonably certain of the possibility of land acquisition within a reasonable time-frame. “In suppression of all earlier instructions, Railway Board has decided that issue of tenders or commencement of physical work for New Line projects shall be taken up only after completion of land acquisition subject,” said the policy document issued on October 30. The document says that GMs can also consider seeking a written assurance from the state governments in this regard. The idea is to put the onus on state governments for smooth transfer of land for railway projects. “The problem of land acquisition comes in new line projects, majority of which are recommended by states. So, the new guidelines put the onus on states to provide the land if they want new projects to be sanctioned,” said a senior railway board officer. According to official statistics, there are about 491 projects – new lines, gauge conversion and doubling -- pending completion. Of these, 171 are new railway line projects worth Rs 2 lakh crore. “For the purpose of execution, large projects can be divided into phases by GMs… after ensuring that each phase, on completion, yields commercial return for Railways,” the policy document added. It has been decided that the policy will be followed not just in cases of new projects but also old ones where tenders have not yet been finalised. Under the earlier policy, tenders could be issued if 70 per cent of land was available for the projects. But according to railway sources, it was hardly followed. The guidelines have been sent to all states so that they can initiate the procedures for facilitating land acquisition for railway projects.